If you’ve found The Wellness Way, and are on this page, odds are, you’ve heard we’re different. How can that be? Chiropractic is chiropractic, right? Well, let’s talk through that. Here at The Wellness Way, our approach is based on the understanding and application of the complete chiropractic philosophy, as developed by B.J. Palmer in the early 1900’s. You may have heard of it – it’s called The 3 T’s of Chiropractic. Each “T” identifies a source of interference in the body: Trauma, Toxins, and Thoughts. Every individual is impacted by each of the three T’s, however – and this is important—the three T’s impact each individual differently. We address each of these T’s individually with every patient. The result? We are able to understand your unique needs, and work with you to develop a course of care custom not just to your health concerns, but your unique physiology. Now you might ask, “Doesn’t every doctor do this? If I go to the doctor with high blood pressure, I’ll get a prescription different than my relative, because it was chosen uniquely for me!” Here’s the difference – most health practitioners practice what’s called symptom based care. To explain further, we developed something called “The Fireman/Carpenter Principle”. Let’s say you’ve been out for a nice dinner with your family and you get home to find your house on fire. Who is the best professional to handle this situation? A fireman. Why wouldn’t you call your dentist? Doesn’t he have a hose? You’re likely thinking, “That’s a stupid question!” Well, it’s a stupid question because you know that if he showed up with his tools, and his hose, he could get himself killed. The fireman is the best trained professional to handle the situation. So, let’s walk through the scenario. The firetruck pulls up and the firemen basically have two tools to work with; hoses and axes. With the ax, the firefighter runs up to your house where he crashes your door in and then smashes the windows. The guy with the hose then runs in and starts spraying the inside of your house. Simple question: when the water he sprays hits the pictures of your kids, what does it do to them? The wall? What does it do to the carpet? The fire department has been there about 15 minutes and you are standing there, grateful for all the different ways they have destroyed your home. Even though they caused massive destruction you are not mad. Why? This is their job. But, can you live in that house? Is it toxic? Could it kill you? Let’s remember, the fire department has done a good job and has done everything they were supposed to do with the knowledge and tools they have to work with. That doesn’t mean your house is fit to live in. A time will come when you’ve got to get back into your house. Who is the best professional to call now? The carpenter. He has to rip out walls and carpet and bring in the materials he needs to rebuild the house. Which professional is right? Both, based on the specific need of the house at the specific time. If the carpenter shows up to the house while it’s on fire, he looks like what? If he shows up with his hammer, nails, and lumber he looks ridiculous. Vice versa, if the fire department shows up and tries to rebuild the house with an ax and a hose, they look ill-equipped. Would you agree? Based on the need, you have to know which professional to call. If you understand that example, you understand how healthcare should be run today. If you are having a stroke or a heart attack, should you call your Wellness Way Practitioner to see if they can help you? No! You need to call the professional trained to save your life in an emergency! But after the life has been saved, after all the warm thank yous to the doctors and nurses, you need to understand why you’ve had the heart attack or stroke. Your doctor or nurse may suggest a bland diet and exercise, but are they helping you to rebuild for a long and vibrant life? Can you rebuild a house with an ax and a hose? No, you can only put out a fire. Can you get your body back to normal with drugs or surgery? No, you can’t. Today, we have fire department doctors. The Wellness Way Approach is the carpenter approach. We want to know what triggered your fire. The Wellness Way helps our patients to repair the weak spots where fires can start, rebuild where fires have been, and best of all prevent any possible fires so that you can live that long and vibrant life! How do we do that? Well, you already know we use the three T’s, but how do we determine what we need to do to for you specifically? This is where our motto comes in: We Don’t Guess, We Test! We Don’t Guess, We Test. Think of one of your favorite people. It may be your spouse, sibling, best friend, or even a mentor. Even if you are the same gender as that individual, are you the same? Even if it’s your identical twin, are you truly the same person? No! You are unique. But now let’s say you both have high blood pressure… do you suppose your two, unique, separate bodies have high blood pressure for the exact same reason? Not likely. So how do we know what to do? How do we determine how to best address how the three T’s – your three T’s – are affecting you? Simple: We don’t guess, we test. Every one of our doctors across the country uses this approach to evaluate their patients. We employ the most innovative testing techniques and cutting-edge diagnostic tools to provide the best insight possible into your health. Coupled with our unique understanding of physiology, we put you in the best position possible to address the sources of disruption in your health (think interference and the three T’s), and guide you back to normal. The word we like to use around here to represent this normal, balanced state is “Homeostasis”. The human body is incredible! Yes, we know – you’ve seen the sentiment so often on so many motivational memes, it’s difficult to not be numb to the details. Well, we want to reawaken the wonder. The very definition of homeostasis will help us do just that. We love definitions here at The Wellness Way. They help us walk through concepts and truly understand things we may take for granted. Online you could find any number of definitions of the word Homeostasis, but we’d like to share our favorite with you. It’s a little longer than most, but it paints a comprehensive picture – hang in there with us! We’ll walk through it together. A self-regulating process by which biological systems tend to maintain stability while adjusting to conditions that are optimal for survival. If homeostasis is successful, life continues; if unsuccessful, disaster or death ensues. The stability attained is actually a dynamic equilibrium, in which continuous change occurs yet relatively uniform conditions prevail. Now what does that mean? Let’s start from the beginning and put this into terms we understand, so we can fully appreciate how we are designed to function! Homeostasis is a self-regulating process… which means, the processes embedded in you as a human are programmed for normalcy. One more time – you are programmed for normal, healthy function! What else does that mean? You are NOT programmed for disease. …by which biological systems… Notice – the word “system” is plural there. Systems. This reinforces how ALL of our biological systems work together. We illustrate this with our frequently referenced “Swiss Watch Principle”. Picture a Swiss watch. It is very complex and composed of many, many parts. What would happen if the smallest gear stops turning for just one moment? Would you agree that it would affect the whole watch? Would it keep time properly? No, of course not! This is how the human body works – like a Swiss watch. A common misconception people have is that they think of their body as separate pieces functioning independently of each other. One example of this is eczema. Conventional medicine typically gives a patient who has eczema a steroid cream to treat the skin. However, eczema is a symptom of problems in other systems – especially the digestive and neurological systems. Your skin directly reflects the health of these systems – bring those back to normal, and the eczema will clear up. Everything is connected! …tend to maintain stability while adjusting to conditions that are optimal for survival. Perhaps the basest instinct of living things is survival. To quote Dr. Patrick Flynn, “Everything your body does is for one thing… to survive”. Let’s take it a step further: this means your body will not do things that would be detrimental to survival. 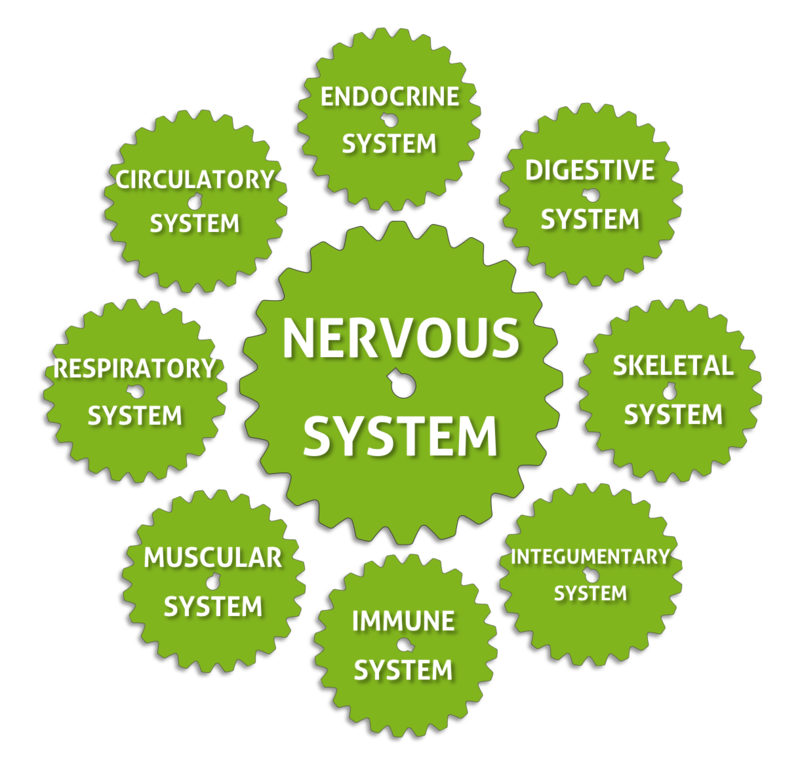 So to recap, so far we know that your body is designed so that the normal, balanced state of function is to have all systems working together for survival. That’s cool. Let’s keep going. If homeostasis is successful, life continues; if unsuccessful, disaster or death ensues. Imagine the temperature outdoors is below zero, and you walked outside in a swimsuit. What does your body do? It starts to shiver. Why? It is trying to maintain homeostasis, adapt to the stressor (cold temperature), and regulate your temperature. If you stay outside for a measure of time, your body will quickly pull blood from your extremities to your vital organs to survive. Why? Your heart is a lot more important to your survival than your foot – your body made a sacrifice, but life continues. If your body cannot protect your heart or other vital organs from stressors (extreme temperature or otherwise), it is not maintaining homeostasis, and you’ll be faced with disease and/or death. The stability attained is actually a dynamic equilibrium… this point is quick, but important: the keyword here is dynamic. Our body is always changing to maintain balance. …in which continuous change occurs yet relatively uniform conditions prevail. This is why our bodies are so miraculous. No matter what, our body will always do what is best to maintain homeostasis. That means if you are experiencing a symptom (any symptom! ), that means your body is stressed and doing what it can to maintain balance and survive. Anything from a simple rash to chronic auto-immune conditions to cancer – they’re all symptoms of your body adapting to any number of stressors. Now you understand a little more about how we think and what makes us different! It’s a lot to take in, we know, so to help summarize, we created this graphic. Look how wide the Homeostasis section is. It makes sense – homeostasis has a wide range of fluctuations because of the dynamic changes our body goes through to maintain that balance. Everyone’s homeostasis is different. As long as your body stays in the homeostasis range though, your body is healthy and can perform as designed. Simple, right? We’ve covered a lot, but let’s bring it all back to the beginning: guess what 3 things can stress you out of homeostasis then? (Hint: We answered this already earlier) Yes! The 3 T’s! This is where chiropractic using The Wellness Way Approach comes in. We use our state-of-the-art testing and unique understanding of physiology to identify what and where your stressors are. After determining that, we work with you to help you guide your body back to homeostasis. Back to normal function and the best health you can achieve! 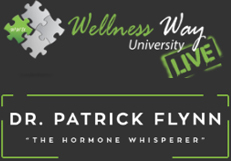 Don't miss out on all the healthy happenings at The Wellness Way! Policies | Terms & Conditions | Returns & Refunds | ©2019 Wellness Way. All Rights Reserved.